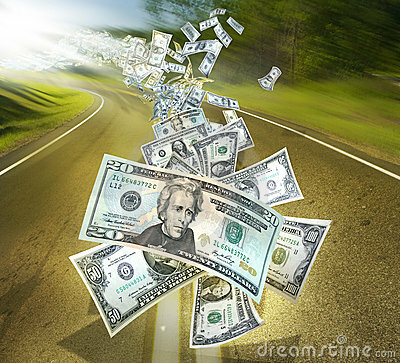 An exploding US money stream flying down a golden asphalt road. Blurred background to depict movement. Concept for receiving or getting money. 50's, 100's, 20's and 1's are in the stream.